Since he took office, President Trump has repeatedly criticized the European Union for failing to provide for its own security. He has singled out Germany in particular for not paying its “fair share” and he has cast doubt on the US’ commitment to the North Atlantic Treaty. While debates over appropriate levels of military spending are not new, the Trump administration has given them new urgency - and a new tone. In response, Angela Merkel and other European leaders have declared that Europe will need to take its security into its “own hands”. These challenges are unprecedented in the history of NATO. At the same time the transatlantic alliance seems as important as ever, given the UK’s exit from the EU and a resurgent Russia invading its neighbors and undermining democracies. This panel will discusses how both sides of the Atlantic should handlerespond to surgingthese challenges toof transatlantic solidarity in these turbulent times in times of a changing global order. Are Germany and Europe up to the task of providing for their own security? Also, is this development actually in the American national interest? 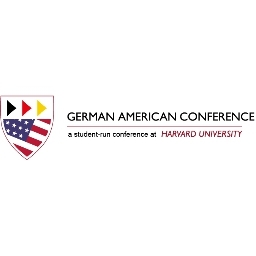 How should the US and Germany work together or separately to respond to theboth sides of the Atlantic respond to these challenges of transatlantic solidarity in times of a changing global order?